Demons – what are they – who are they? Are they associated with Satan or are they figments of very fertile imaginations, brought to life through very real special effects and computer technology? Demons are real and are the minions of Satan – but when we think of minions, what do we think of? Believe it or not, we have become comfortable with demons being among us, because they are so often portrayed as misunderstood and even likable beings. Are we in trouble? Yes! Angels... We have such varied perceptions of them. Sometimes they are viewed as little cupids, flying around shooting people with their arrows of love. Sometimes we think they are white glowing winged creatures. Sometimes we think they take on human form and intervene in specific and dramatic ways and sometimes we think that they are our companions with whom we can communicate about anything from the majestic to the mundane… So, really, what, who are angels, what do they do and how do they do it? Can we, should we be seeing and talking with them? Satan. The Devil. The Adversary. These are but a few of the names that describe that powerful spiritual being who fell from heaven and opposes God. Many people don’t believe he exists. Still others look at the Bible and point out how Satan is such an infrequent player in the Old Testament and a dominate player the New Testament. They use this observation as proof of the evolution of the idea of Satan. So, is he real or just a convenient fabrication of Christianity to keep people in line? If he is real, what kind of influence does he have? Should we be afraid? Are Demons Influencing Your Life? We live in a world of battles and contradictions. We have political battles, philosophical battles and moral battles. We have battles between nations, peoples and religions. We battle disease, cold and hunger. We battle ourselves. And we battle against evil. We battle against the dark, treacherous and sin-filled paths of evil. And if that isn’t enough, that battle also takes place with powers that we can only imagine, both for good and evil. 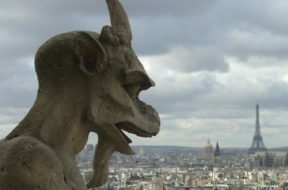 We will look at the powers of darkness – the powers of evil as expressed through the demons who inhabit our atmosphere. Evil exists. The world in which we live accepts this fact and sometimes even seems to relish it. For the Christian, defining evil can easily be done within the context of Satan as the Bible says he is a murderer and the father of lies. However, the very existence of Satan has become a very real question for many – they say he is just a convenient way of having the necessary bad guy so the good guys can win. So, does Satan really exist or is “Satan” just a concept? Back on January 16th, we did a program about angels and the roles they have played and do play in our world. That discussion led us to the edge of another related topic that we did not get into: demons. Demons are REAL – they have an agenda and have been working that agenda in our world for a long time. Where do demons come from? Are they able to communicate with us? Are we able to communicate with them? What kinds of things do demons do? Is demon possession real? Should we be afraid of them? Stay with us as we look into this very difficult and somewhat scary topic. 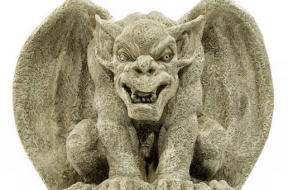 Are Evil Spirits and Demons Real? We live in scary times. We are not only facing the results of a major recession, we are also continually steeped in debates regarding major issues of our time: health care, war, social security, the climate change issue and the list can go on and on. All of these things are focused on humankind and our role in them, be it for good or for evil. Yet there are other issues above these – issues that take place in a realm above us, with which we are not so familiar. These are spiritual issues and they have to do with angels, demons, good and evil. Are there really such things as demons? If so, do they have any influence on our world? What about evil spirits? If they are real, then how do we make sure they cannot influence us personally? Stay with us this as we look into this dark and unsettling topic to gain some understanding and to find some answers. What Should We Know About the Devil? The devil is pretty popular these days. Think about it – his name and influence come up in all kinds of places – we have ʺdevil’s food cakesʺ – why? I LOVE chocolate, but I don’t like the name! You have heard the phrase “the devil is in the details.” Or what about, “I had a devil of a time?” Then of course there is “the devil made me do it!” Movies and television often glorify the devil and what he stands for – I mean, does the devil REALLY wear Prada? So, what does all of this mean? Should we be worried that the devil seems to have permeated our lives? Who is he anyway? How much of an effect does he have on our lives? Stay with us as we look into the origin, the description and the objectives of the devil. What should we know about the devil? Plenty!! 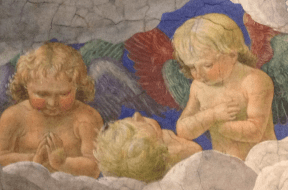 What Do We Need to Know About Angels?